Timothy Keith is the co-owner of the winery Leaf and Vine in Napa. NAPA, Calif. — The tasting room wasn’t quite what I expected. I wasn’t even sure I was in the right place. Could a budding and buzzed-about winery in one of the most prolific and established grape-growing regions of the United States really be located in a nondescript industrial park? I was assured by Leaf and Vine co-owner Timothy Keith that I was in a tasting room, and not an auto body shop. This is the Napa Valley that most visitors miss. Away from tourist-laden Highway 29 there is a growing collection of fresh winemakers who are experimenting with new grape blends and flavors. These mavericks of maceration are helping to eliminate outdated Napa stereotypes with atypical wines. My opinion as a professional drinker is that it tasted good. I’m always hesitant to sniff, swish, and spit. Why treat a perfectly good tasting room like a dentist’s office? I hate to waste good wine. What I know about the fine details of wine could fit on single poppy seed, but even I understood the Leaf and Vine chardonnay was different. There are some parallels between Napa’s upstart wineries and the craft beer movement. In both cases its purveyors are generally young, passionate, and excited to play with flavor. But unlike beer, wine takes much longer to produce, requires bushels (or tons) of grapes, fermentation tanks, oak barrels, a lot of space, and a knowledge of science. Also, a fair amount of money. Tossing out a large batch of wine isn’t much of an option here. Because few of the new winemakers own land, or every piece of equipment they require, there is a lot of borrowing. Like master chefs, these young, small batch winemakers purchase a mix of very specific grapes to create varieties such as Gamling & McDuck’s Chenin Blac or Cabernet Franc Rose. Adam McClary of Gamling & McDuck can tell you were each grape comes from for his wines, and why they were chosen. The new breed of indie Napa wine producer can be traced back to Steve Matthiasson and Jill Klein Matthiasson of Matthiasson Wines. They released their first vintage in 2003, and struggled to sell their product because it was so different from other Napa wines. With backgrounds in farming, they made wines from grapes more commonly found in Europe. Confusion ensued. The wine world has since caught up with the Matthiassons. In 2003 they produced 120 cases, This year that number is 8,000. 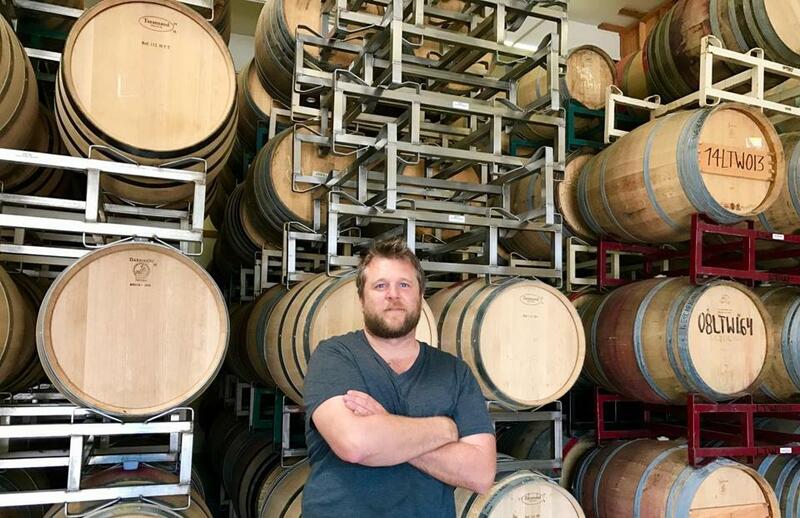 The San Francisco Chronicle named Matthiasson winemaker of the year in 2014. This year he was a finalist for the James Beard award. As the Matthiassons paved the way, the small wineries followed. Their specialties are remarkably different. Anderson, owner of Kales Wines, started making Rhône-inspired wines in 2008. As he often reminds people, there is no kale in his wines, it’s just his name. Craftsmanship is a very good description of what brothers Alex and Graeme MacDonald do at MacDonald Vineyards. Other appropriate adjectives include heritage, artisanal, or legacy wine. Their cabernet grapes are grown on 15 acres owned by the family for decades. I’ve never seen a winemaker as enthusiastic about vines or grapes than Graeme. It’s fine wine without a trace of pretentiousness. What they do is not trendy, but it does represent a new approach in Napa. Small and passionate. The rebels of Napa are McClary and his wife Gabrielle Shaffer of Gamling & McDuck. They explain their wines through a comic book. They put playlists on their bottles. They have no intention of selling to a luxury market. Still, it seems the luxury market has found them. Since 2009, their output has grown from 120 cases a year to 1,500. Their wines are even served at the tony Grill at Meadowood. He’s in the process of putting together his own tasting room, but he’s not interested in sharing the space with other small wineries, saying that Gaming & McDuck is too idiosyncratic to share.